Size:M~~~ Bust:98CM/38.6" ~~~Sleeve:67cm/26.4" ~~ Length:80cm/31.5"
Size:XL~~ Bust:106CM/41.7" ~~~Sleeve:69cm/27.2" ~~ Length:82cm/32.3"
♥ 85%Polyester, 15%Cotton 100% Brand New and high quality! ♥ Long sleeve, Open Front Drape Hem, Flyaway Cardigans,Soft Drape. 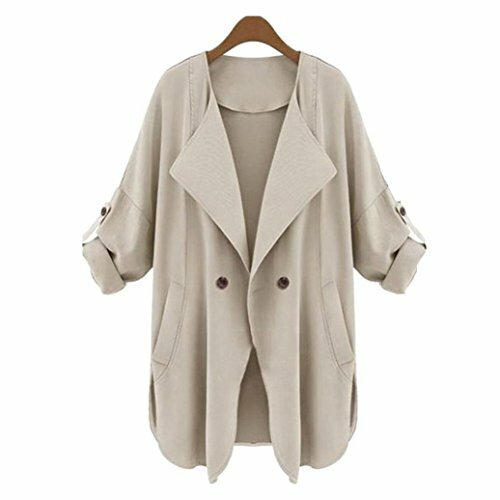 ♥ Good for any season.We are sure that you will get many compliments after you wear it.Don't miss out on this cardigan.Click the Add to Cart Button Now! ♥ Hand Wash Recommended With Cold Water / Do Not Bleach / Hang Or Line Dry / Please Check The Label Inside The Clothing For WASH INFO.